Great price from Jumbo compared to other stores! Great price from Microless compared to other stores! Microsoft has been in the laptop market for quite a while now. 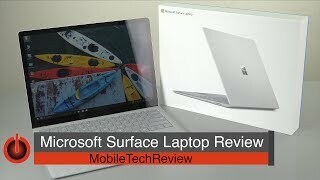 However, they have only made 2-in-1 laptops or laptop/tablet hybrids so far like the Microsoft Surface Book or Surface Pro series. With the release of the upcoming Microsoft Surface Laptop, things are expected to change. It will be a true laptop running a new Windows operating system. 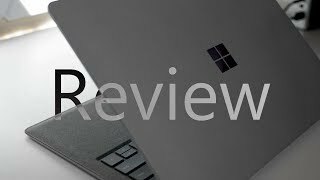 To find out more about this upcoming laptop including the Microsoft Surface Laptop Dubai price, keep reading. 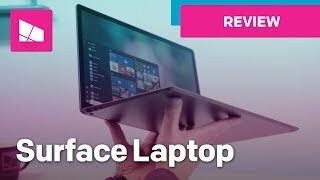 It’s only natural for any of the recently released laptops to be compared with the MacBook Air and MacBook Pro and same goes for the Microsoft Surface Laptop. Build quality wise this one of the most good looking laptop if not the most good looking laptop from Microsoft yet. After the Microsoft Surface Laptop release date UAE, there will be four different colors to choose from: Cobalt Blue, Burgundy, Graphite Gold and Platinum. The clean and elegant design with really thin bezels makes it really portable and easy to carry it around with you. It's easy to compare this laptop with the Dell XPS 13 because of the thin bezels. The 13.5-inch screen is packing 2256 x 1504 pixels resolution and 3:2 aspect ratio which is protected by Corning Gorilla Glass 3. As mentioned before, this one is a true laptop which means it comes with a keyboard that’s not detachable. Just like the Microsoft Surface Pro 4’s keyboard this one also features fabric with similar design elements. However, it’s spill resistant and works better than the Type Covers. 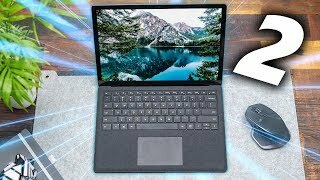 Another notable feature of the Microsoft Surface Laptop is its battery life which should last up to 14.5 hours when watching a video according to Microsoft. We will be able to learn more about the battery life after the Microsoft Surface Laptop release date UAE. Microsoft managed to fit this much power in a small and thin laptop which is another positive feature of this laptop. The number of ports in this laptop are quite limited and includes one USB 3.0 port, headset jack, a mini display port and power and docking port. There is no USB-C port which might be a deal-breaker for some people. There are multiple options to choose from with different processors inside including seventh generation Intel Core i5 or Core i7 processors. The starting price of the Microsoft Surface Laptop will be around AED 3800 when it’s here. Now that you know what to expect and the Microsoft Surface Laptop Dubai price, all you have to do is wait for the release date which should be sometime after June 15. Price has decreased 1% from AED 9979 on 2018-01-04 to AED 9915 today.